Ultra White Collar Boxing (UWCB) is the largest organiser of white collar boxing events in the UK. Since the first event in December 2009, over 45,000 people have stepped through the ropes and boxed at one of our events. That’s 45,000 people that have become fitter, healthier and no doubt engaged their families in physical activity. In turn, helping them to become fitter and healthier. Boxing gets a tough time from the media. Whenever there is an injury there are calls for it to be banned, but statistically, if you look at serious injuries boxing is safer than cycling and rugby. We think this is due to excellent safety precautions at events. As with anything some events are more safety conscious than others. 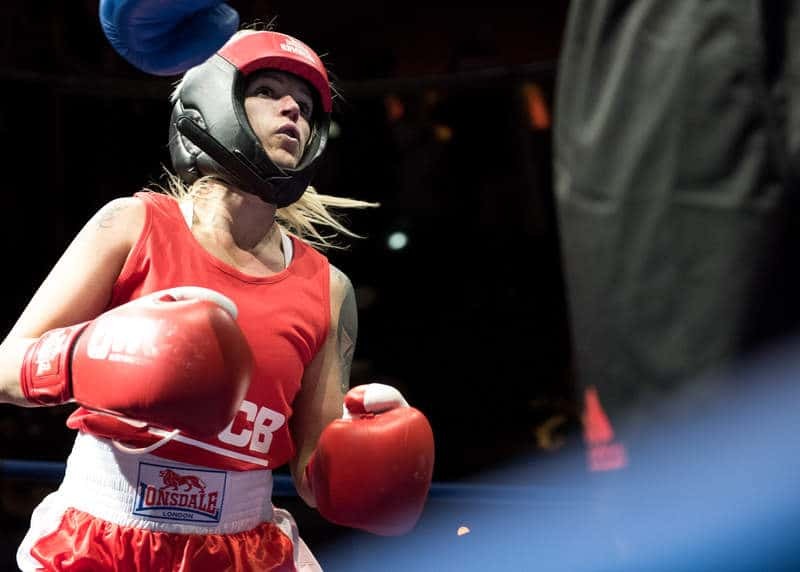 In this article, we will only be talking about the positive steps UWCB take to ensure we make our events as safe as realistically and practically possible. We feel our events offer a ‘gold standard’ in safety and this has been verified by doctors, neurosurgeons and many other professional bodies that have reviewed our practices. To our knowledge, we are also the only white collar boxing organisation to have insurance for participants. Our insurance is supplied by Bluefin who insure many national governing bodies and is paid for by UWCB at no cost to participants. All participants train together for 8 weeks and are matched fairly based on weight, height, fitness and ability. We do this to ensure that all our boxers are matched fairly. The trainers get an opportunity to assess everyone across the 8 week period and ensure it is a fair bout. 16oz gloves and head guards – UWCB have gloves specifically made for our events with a higher density ‘safe spar’ foam. This is to ensure maximum protection for participants. Headguards further reduce impact and help to avoid cuts. Pre-bout medical checks – all participants receive a medical before they box to check their suitability. If there is an issue then the participants are not permitted to take part in the event. Post-bout medical checks – all participants receive a medical immediately after their bout. This checks for any injuries and will alert the medics to any potential problems. Qualified referees – the majority of UWCB referees are ex AIBA or BBBOC qualified. All of which have attended the UWCB refereeing course. 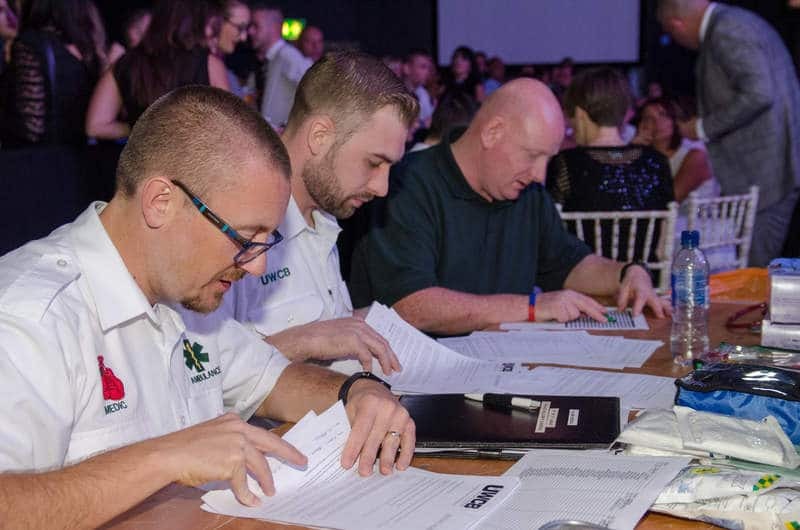 Risk assessments and checks prior to and at all events – We fill out and retain a folder prior to every event to ensure that our events are consistently safe. We then carry out random quality control checks to verify that all our events are in line with our health and safety practices. UWCB take the decision to make our events as safe as possible. There is no recognised governing body and no other organisation must follow our protocols. Are you or a friend considering taking part in a White Collar Boxing event? Then you should do it with the longest established, biggest organisation in the UK which is UWCB. Please get in touch with us by clicking here and sending our team a message and somebody will be able to help. Hi, I have Crohn’s disease , but I don’t see a problem , will I be able to compete? If you get in touch via our contact page here a member of our team will be able to give you all the information that you need. Please get in touch via our contact page here a member of our team will be able to give you all the information that you need.